Way back in the early Summer I was chatting with some former colleagues from the year I spent in Boston and they said they were signing up for a half-marathon together. After a little to-ing and fro-ing, and checking out the logistics, I decided to make that the weekend I visited them and we would all do it together. 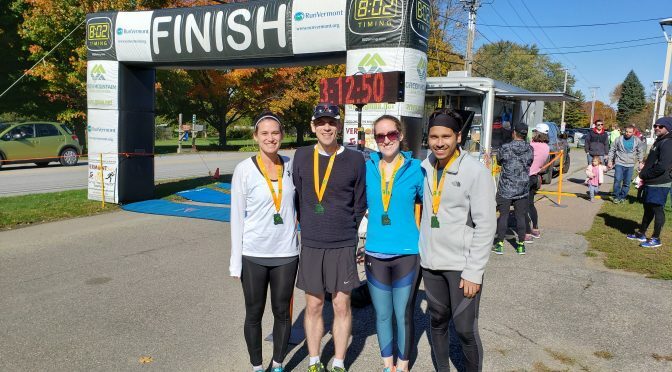 So that’s how I ended up travelling from Glasgow to South Hero, VT to run the GMAA half-marathon! 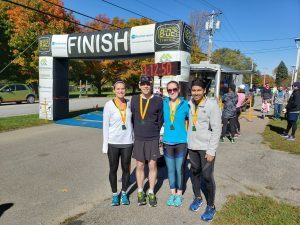 The GMAA half-marathon was on the Sunday (14th October), so I flew out to Boston on the Thursday to try and fend off any jet-lag. I met up with my pals after work on Friday and we headed up to Vermont and stayed in the most beautiful airbnb in South Hero. The drive up was a fun little roadtrip, including stopping off to get supplies to make ‘smores around the campfire later that night. That gave us all day Saturday to explore the local area and relax a little before heading to packet pick-up and making our own little pasta party back at the apartment. Race day was a bit of an early start so the the 5 of us could share the single bathroom and get some nutrition in us well-before the race. (My race nutrition strategy focussed heavily on some store brand jelly bears we’d picked up the day before). It was then just a short drive to the start line and we were away without much ado, leaving everything we didn’t run with in the car. 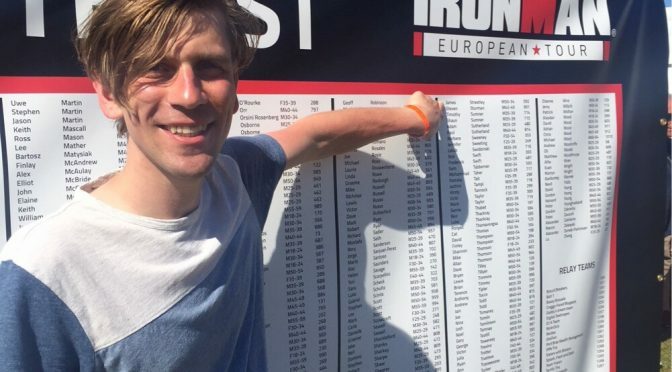 As with all mass-start races, the temptation was to go hurtling off at the start with all the excitement, so I decided to consciously hold back on the pace for the first few miles and pick my way through the crowds. I persuaded my friend Molly, who I knew was going for a similar time to me, to do the same. Molly and I stuck with each other for the rest of the race, chatting and pointing things out to one-another, all the time slightly picking up the pace. This was mentally so helpful – it was never spoken until after the race but neither one of us wanted to give up before the other, so it became a challenge with us spurring each other on. The course itself was an out-and-back along the coastline of the island. This gave us plenty of beautiful scenery to look at. Vermont in October has some wonderful colours as the leaves start to turn, so we definitely managed some leaf-peeping as we ran. The out-and-back nature also gave us the chance to spot our friends who we knew would be a little behind us, so we could support their race too. 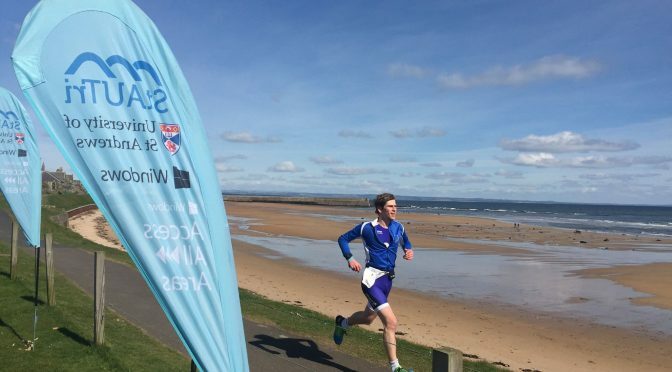 The course is undulating – it mostly follows the coast with a few small hills in between. The final mile is dead flat and straight – I wanted to kick for this, but simply didn’t have the energy. 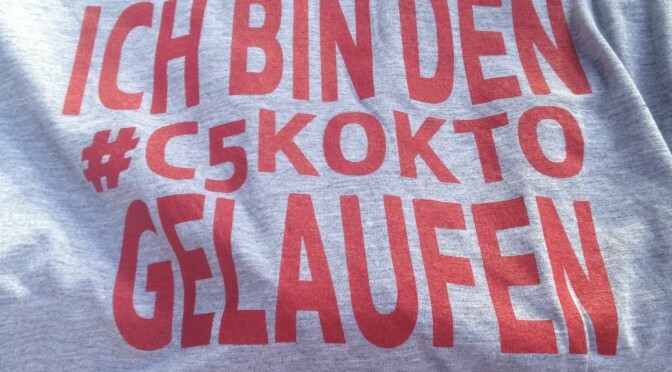 Instead I kicked away from Molly for the last 2-300m! I was so happy with this time. Off the back of very little training since my half-ironman in July, I thought to come within a few minutes of my PB was excellent. And I owe a lot the mental fight to keep going at that pace to Molly, who didn’t let me give up. 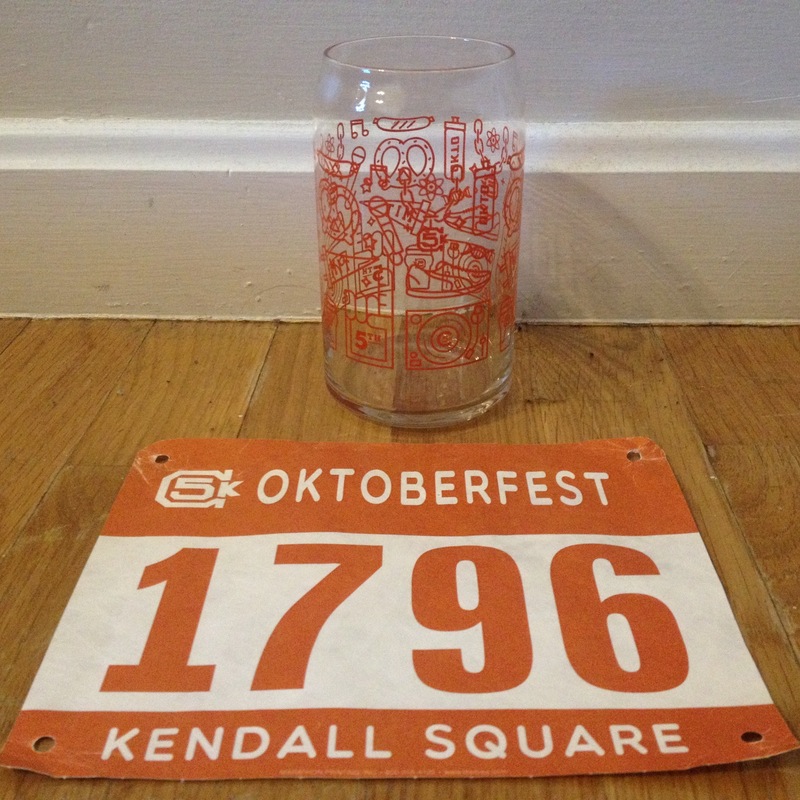 Our pace was an even split, so the decision to relax early on (as my club coaches always say), was a good one. Post-race, there was all sorts of food in the recovery room in the local school sports hall – I’ve never had chilli and nachos after a race before, but boy was it welcome! Along with donuts, bananas and a myriad of other options, it was quite a spread! 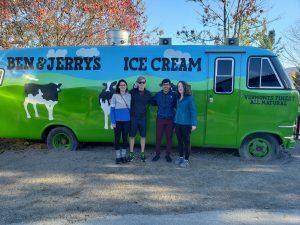 From there, our wonderful airbnb hosts allowed us to come back to the house and shower before we made our way back to Boston – making sure to call in at the Ben and Jerry’s Factory on the way – surely a must do in Vermont! 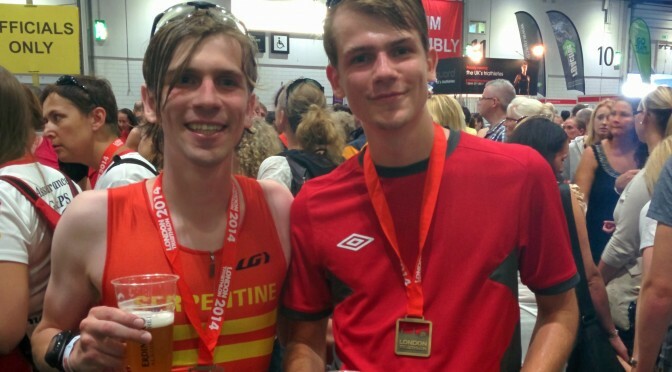 This post concerns the 2016 World Triathlon Leeds race – only bad time keeping has meant I’m publishing it over a year late. My bad! My A-race of the year. 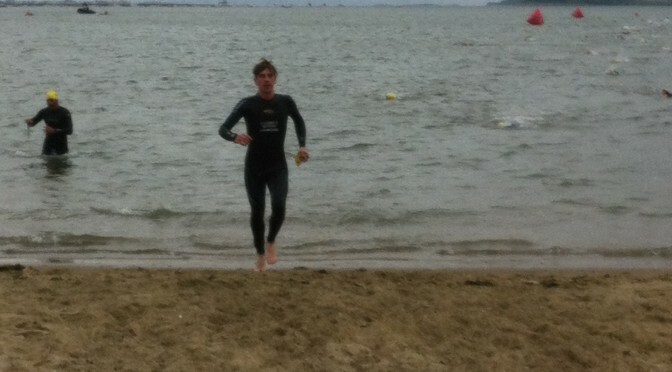 My first Olympic distance race. My first split transition race. 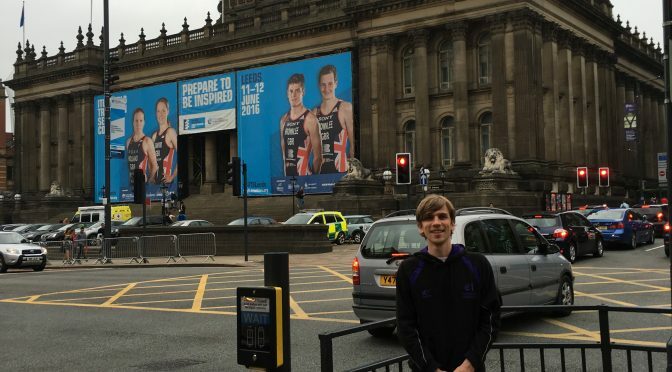 However you put it, World Triathlon Leeds was going to be a big race! And as you may be aware from the negative press and social media coverage, it did not quite go to plan for the race organisers. (A little known company who go by the name of Ironman…). But I was determined not to let that get in my way and to have a good race regardless of the issues I’d had during registration. 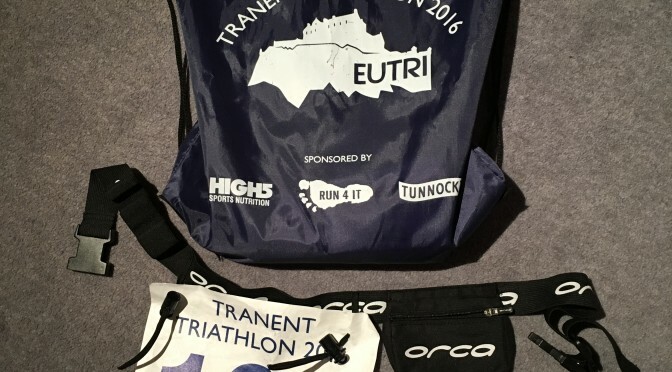 First race of the year, second triathlon in two years and yet it was fair to say that I wasn’t looking forward to racing at Tranent Sprint Triathlon. I just had this horrible feeling of being under-prepared, like one of those dreams where you have to give a presentation having never seen the slides before. It was a feeling that would turn out to have some basis in reality, at least when it came to my biking fitness.